Jeff: Hi, good morning Matt. Are you all set for our call? Matt: Hi, Jeff. Yes, I am. Jeff: Great. Let’s wait just one more moment to make sure everyone has a chance to join us here … did you have a good weekend? Matt: I did. It was nice to get a little rest and relax with the family bit. I had a blast holding the online summit last week. It was fun. And also a bit exhausting. Jeff: [Laughs] Yah, a lot of work goes into it. So, for those of you who are just joining us, I’m here with my colleague, a man who is respected throughout natural resource circles, Matt Badiali. Jeff: Matt, thank you for joining me for this brief Q&A session as a follow-up to your Front Line Profits webinar. We have a shared computer screen for this session, so attendees can see the charts and other important information we’ll be covering during the conversation. Matt: Thanks, Jeff. I really want to make sure our viewers have the tools and knowledge they need to take FULL advantage of these natural resource opportunities, whether they choose to follow my research or not. And while I can’t give individualized investment advice, I’m happy to be here to help answer any follow-up questions about my strategy that they may have. Jeff: It certainly shows in the material and results you’ve presented so far. Alright, we don’t have a lot of time, so let’s get started. We had a tremendous turnout for the event … and received thousand of comments over the past few days about Front Line Profits. As I mentioned, many people were excited about the level of detail you provided on the strategy. Even though you did an amazing job though, we did receive emails and phone calls from a few people asking for some clarification on a few things. So, I thought this would be the perfect opportunity to address some of the most common questions we’ve received. Matt: Yes, it’s absolutely true. Jeff: It’s a rather bold promise … and I can see why it was one of the questions we’ve been asked the most. Maybe you should tell us again why you are confident making such a promise. Matt: Because of the results, Jeff. I’ve devoted the past five years to perfecting this strategy. I’ve spent thousands of hours pouring over research. I’ve interviewed CEOs from dozens of the world’s leading resource exploration outfits and junior mining companies. Jeff: I take it these are people you have access to because of your reputation within the industry? Some of our viewers may not realize it Matt, but you’ve been invited to serve as master of ceremonies at some of biggest conferences in the natural resource sector. Matt: Some are folks I’ve had the pleasure of speaking with or interviewing at industry events. Others have invited me to visit their exploration sites or their company headquarters. I’m a geologist at heart and never pass up an opportunity to get out in the field. And, of course, like any experienced researcher, investor … or geologist … I vet the information I find with rigorous testing and historical analysis. The list just went on and on. Matt: It was pretty amazing, Jeff. The results exceeded all my expectations. Of course, not every trade it signaled would have been a winner. But even just a few gains of 1,000% or more can be absolutely life-changing. Jeff: And those were just the back test results. You also put it to a real-life test with your own money. And I walked away with a 4,400% gain in less than 24 months. I didn’t get carried away or bet our life savings on it, and yet, I made enough to help my wife buy a new car. So, yes, I’m confident anyone who uses my strategy will have the chance to grow their money over the next 12 months. And, for those who join me in my Front Line Profits research service, I’m even guaranteeing it. Anyone who joins will get the chance to turn $10,000 into $100,000 by following my recommendations and model portfolio. Otherwise, I’ll give them a second year of my research absolutely free. The results speak for themselves, so I’m perfectly comfortable making this guarantee. Matt: To be frank, there’s no reason to keep it to myself. As I explained in last week’s presentation, explosive, 10-bagger opportunities like these may be the exception rather than the norm … but they occur FAR more often than most people realize. When taking aim at gains like these, opportunity isn’t the real problem … timing is. It all boils down to the discovery curve. Jeff: The discovery curve really stood out as the keystone of your strategy Matt. It clearly showed that a person doesn’t have to put themself at risk by trying to get into a trade right at the moment a new resource discovery is made. Matt: That’s what has me so excited about these opportunities. We don’t have to jump in the moment gold, silver or some other resource is discovered … and blindly hope we’ve picked a winner. That would be crazy. Even when a promising new discovery is made, about only 1-in-10 ends up being profitable. Jeff: And, it’s clear from the chart that it can take anywhere from six to 36 months to reach their peak. Matt: Exactly. And delay creates a huge advantage for us. There are three key signs that a company has what it takes to turn a newfound discovery into a life-changing payday. 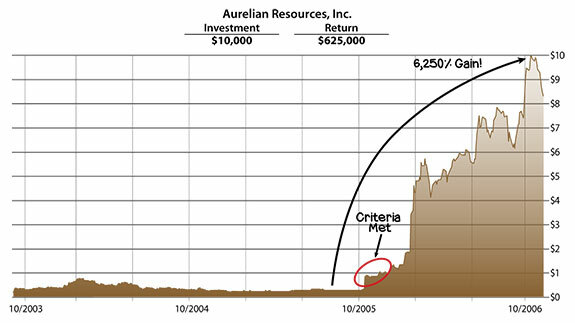 And watching for them in this circled part of the discovery curve gives us a much better idea of IF and WHEN a junior resource stock is positioned to soar 1,000% or more. Jeff: It’s amazing that one chart like this can open the door to such potentially immense profit opportunities. As you said a moment ago, as well as in Thursday’s live event, these opportunities can occur more often than most people realize. I think some of the people who attended on Thursday are worried they won’t have enough money to take advantage of them. They don’t have to put $10,000 or more into each trade, do they? Matt: No, not all. It’s really up to each person and their personal financial situation. They can put as little … or as much … into each trade as they like. The first was to weed out the riskier, go-nowhere stocks and hone in on the biggest, fastest and most promising moneymaking opportunities the resource sector has to offer. The second was to make sure anyone could use it … regardless of whether they have $10,000 … $100,000 … or even $1 million to invest. I didn’t create this so that people could put their mortgage on the line … or jeopardize their entire financial future on a wild roll of the dice. I designed it to help folks turn small, levelheaded investments into life-altering sums of money. Jeff: So, although these are speculative plays, and there will always be some element of risk, we’re talking about stock trades, right? No options, no margin trading and no leverage of any type? Matt: Correct. Pure stock trades. And although the companies my strategy focuses on explore for new resource discoveries around the world, most have their headquarters in the U.S. or Canada. So all you need to take advantage of them is a regular brokerage account that lets you place trades on the U.S. and Canadian stock exchanges. 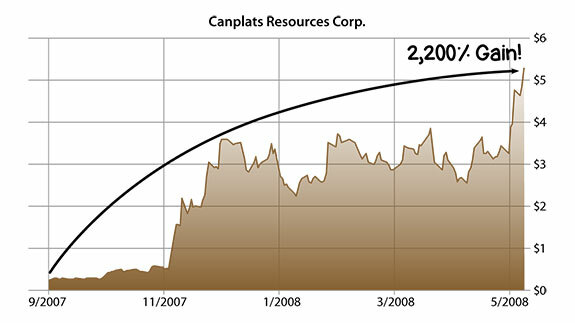 Matt: Buying shares of junior mining company is no different than buying shares of Apple or McDonald’s. So yes, my new strategy is a template anyone can follow … even if they’ve never traded resource stocks before, or just want to use my research to learn more about how the markets work. Like I said, there is no need to bet your life savings on a single opportunity. Jeff: That makes sense. We’ve already seen how a small, sensible investment can yield a HUGE win. Matt: I will be recommending one new trade each month. Jeff: Just one each month? Matt: Yes. As I said, we’re not in this to throw money at every junior mining company we see in the blind hope we hit a winner. One pick a month means we’ll be able to narrow down our focus and zero in on the best opportunities available. We’ll be able to research them thoroughly to ensure they meet all three criteria of the Front Line Profit strategy. And we’ll be able to time our entry in order to go for the biggest gains they’ve have to offer. It’s about honing in on those that are positioned to soar 1,000% or more. 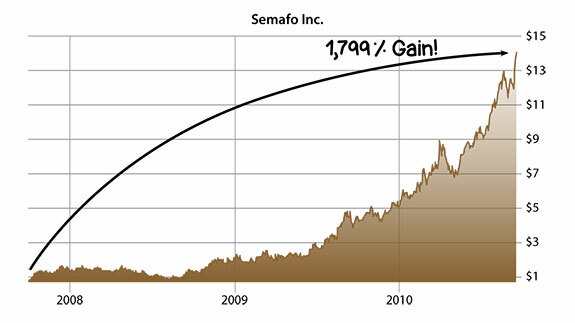 Jeff: No matter how many times I see the data or look at the charts, it still amazes me. To think that so many opportunities like this exist … that your Front Line Profits strategy and recommendations will give people 12 opportunities a year to grow their money tenfold or more … it’s incredible. Otherwise, you’ll give them a second year of your research absolutely free? Matt: No. 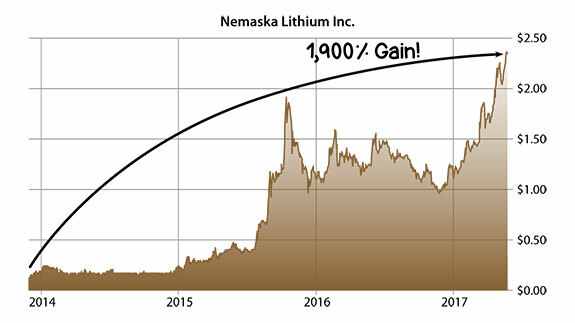 I’ll be able to tell if we hit total gains of 1,000% in the next 12 months by monitoring the buy and sell prices at the time of the recommendations. It’ll all be recorded and tracked in our model portfolio. The model portfolio is there for every member to see. It takes the burden of performance off of our members’ shoulders and puts it on mine. It keeps me accountable. 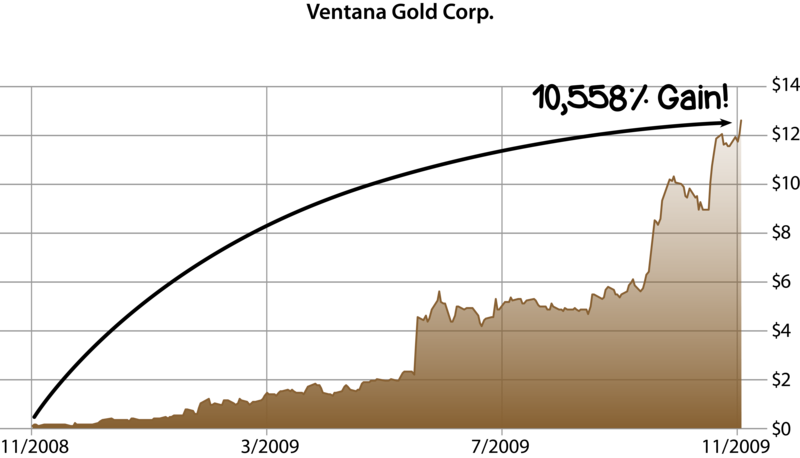 Here’s the thing though … some of our gains could be much bigger than 1,000%. 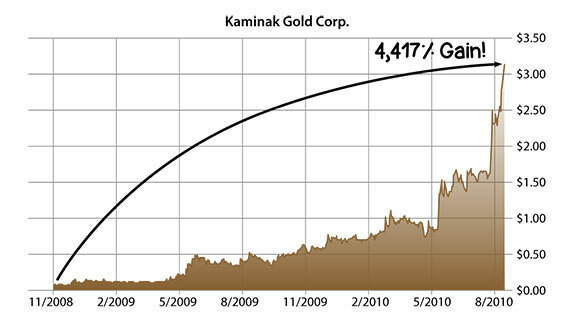 It had an extraordinary rise of 10,558%. 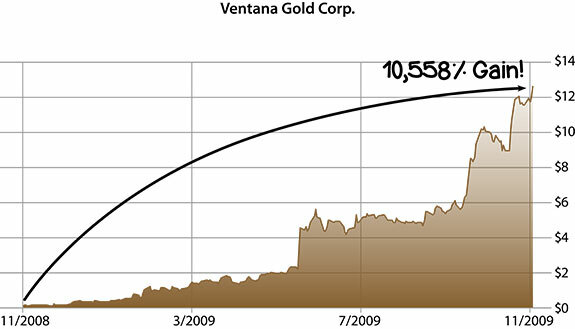 If just one of our trades turns out to be the next Ventana Gold, we’ll surpass our goal by a mile … and every $10,000 would turn into $1.5 million. And that’s what’s so great about this strategy. Even if our picks only climb 100% in the first 12 months … and take a little longer to continue climbing higher … $10,000 would still grow to $100,000 within that first year. Of course, nothing in the market is guaranteed. And past events don’t guarantee future results — but my historical analysis and personal results make the profit opportunity pretty clear here. So $10,000 into $100,000 within the next year … I honestly think we can hit that goal and more. Jeff: So if members see results that turn $10,000 into $99,900 instead of $100,000. You’ll still give them a second year of your research and recommendations free of charge? Matt: I sure will. That said though, I’m sure that subscribers to Front Line Profits will be thrilled with the results they see. I’ve already personally used it to turn every $100 invested into $4,400. I’ve spent more than five years perfecting it … it’s the most exciting strategy I’ve ever created. Jeff: I’m sure they will be too. Recommendations and research that have the potential to deliver gains like these … to make a person this much money in such little time … are invaluable. Hedge funds and Wall Street firms regularly pay upward of $250,000 a year for access to research of this caliber … and typically charge their clients $25,000 or more a year to access it. Jeff: And we’re only charging $1,995. A special charter membership price that will only last until this Thursday … February 1. Because we want to deliver the best experience possible, we have to limit the number of people who join. This is important. Last year, we launched a service called Extreme Fortunes, and we held a Q&A event just like this one. During the event I warned listeners they would need to sign up quick, because spots were filling up fast. If you are interested in joining Front Line Profits, please don’t wait. This is the real deal. 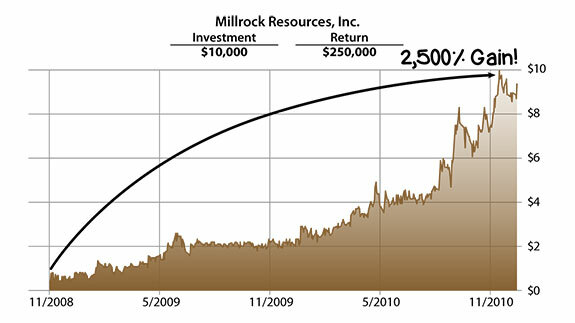 This is the best opportunity out there to go for gains of 1,000% or more with natural resource stocks. As soon as this event is done, give John Wilkinson a call to sign up. Matt: And to be 100% clear: I am guaranteeing anyone who joins will get the chance to turn $10,000 into $100,000 by following my recommendations and model portfolio. Otherwise, I’ll give them a second year of my research absolutely free. Matt: That depends on one’s personal situation. If you have nerves of steel and want to attempt to grow your money at an even faster rate, you can roll all of the profits from one trade into another. Again, I designed this strategy to turn small amounts of money into huge wins. Modest investments of $1,000 to $5,000 are all it takes for the chance to see $80,000 … $220,000 … or even $625,000 in profit. Matt: I personally believe it’s a good idea because your gains are deferred. If your account gives you access to the U.S. and Canadian exchanges, you should be able to make the trades without any problems, same as any other stock. Jeff: Well, I’m certain that’s good news for many of the folks who are listening. I can’t say it enough Matt … the information and insights you’ve shared with us both today and in Thursday’s main presentation have been amazing. Matt: Thank you Jeff. I’m just excited to be able to use all the knowledge I’ve gained to start helping others achieve all of their dreams. I can’t begin to describe what it felt like to turn every $100 I invested into $4,400. And now I’m thrilled that I have an opportunity to help give others the chance to do it to. As our viewers can probably see by now, this is an opportunity unlike any other. 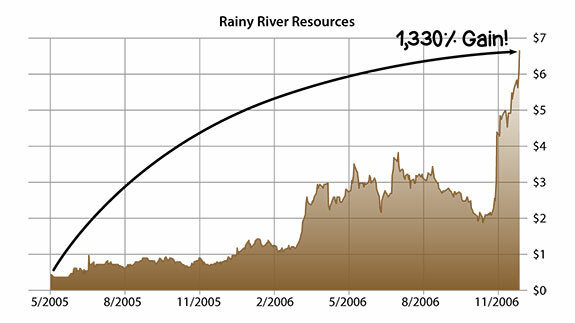 Resource stocks … especially junior mining stocks … are primed for more explosive growth than we’ve seen in years. The last time I saw this much capital flowing into new projects, the gains we had the chance to make were fantastic. It was nothing to see 100% … 200% … 300% or more in a matter of months. And gains of 1,000% or more … like those we’ve just seen … within one to three years. Now it’s beginning to happen again. If fact, I’ve already identified three junior mining stocks that are poised to take off at any moment. Jeff: Especially considering that, if they act today, they can save 60% off the retail price of $5,000. That means they only pay $1,995. And membership comes with your $100,000 guarantee. You’ll give members a free year of service if you don’t deliver them the chance to turn $10,000 into $100,000 in the next 12 months. Plus, you have identified … and will give new members … three new trades they can get in on right now, today. Matt: Yep, these three picks alone have me more excited than I’ve been in years. Each one could easily become the next Aurelian Resources or Ventana Gold … and full details on each one are included in the welcome package. Matt: Thank you for putting this quick Q&A session together. Jeff: I just want to reiterate that spots for the Front Line Profits research service are extremely limited. And from what I’m hearing from customer service, they are filling up fast. That means we may have to take this offer down at any moment. So if you want the chance to join Matt, and turn every $10,000 into $100,000 in the next 12 months, I suggest you order right away. Matt has already used this strategy to make life-changing sums of money. And if we work together, I’m confident we can help you have the chance to do it too.